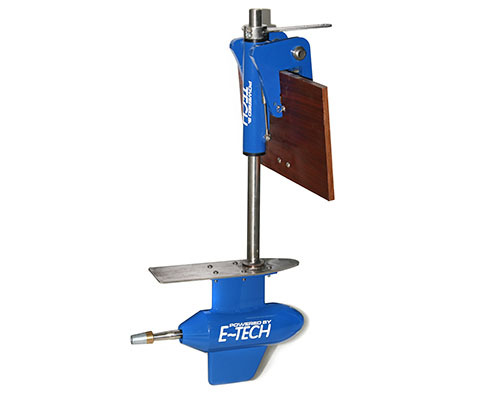 Every E-TECH WG (inboard) system has standard a shaft clamp to connect with the existing propeller shaft, and can be delivered in the required size and diameter. 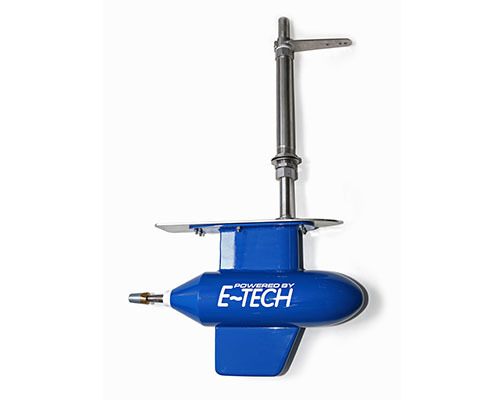 Connecting the E-TECH WG engine to any size propeller shaft is without problem. The engine supports can also be adapted to any size engine fundament. Every E-TECH engine has a double acting build-in thrust bearing. The axial thrust from the propeller is guided efficiently and without resistance to the engine casing. 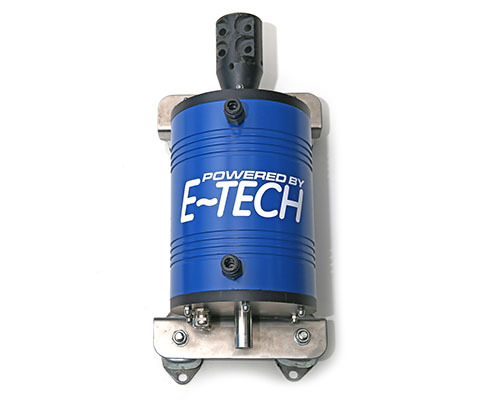 Every E-TECH drive system is a complete system and the set contains everything to install a ready-to-go electric drive system in your boat. Instal , connect and go. Nothing can go wrong. E-TECH electric drives (4kWatt and higher) are strong generators as well. 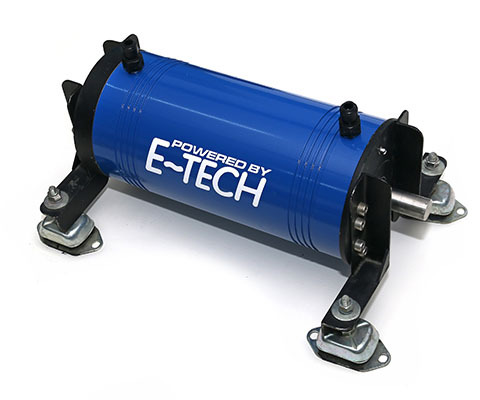 Electric drives from E-TECH are constructed around the BLDC motor. A permanent magnet, brushless synchronous motor is the most efficient electric drive. Economical, very low maintenance, silent and compact. And this in a seawater resistant and watertight aluminum casing. This ensures A long life and minimal maintenance. E-TECH electric drives (4kWatt and higher) are strong generators as well. 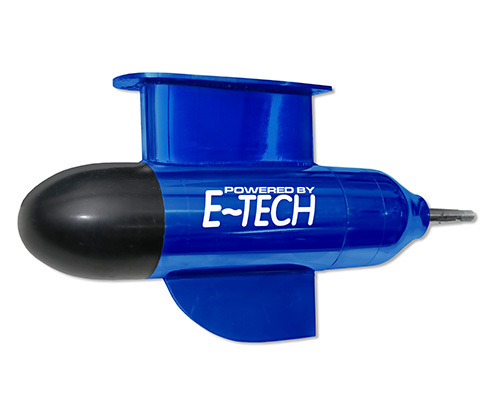 In a sailing boat under sail or in a hybrid set-up the turning E-TECH engine can charge the batteries. Shaft endings on both sides of the engine makes it easy to build an in-line hybrid configuration. Every E-TECH drive with a closed-circuit water cooling is supplied with Push-In connections on the cooling hoses. The electric/electronic cable connections are color coded. The cooling circuit is a closed circuit, which can be filled with common cooling fluid . One can choose between a heat exchanger under the boat, or a radiator cooler to be mounted in a well-ventilated spot somewhere in the boat. 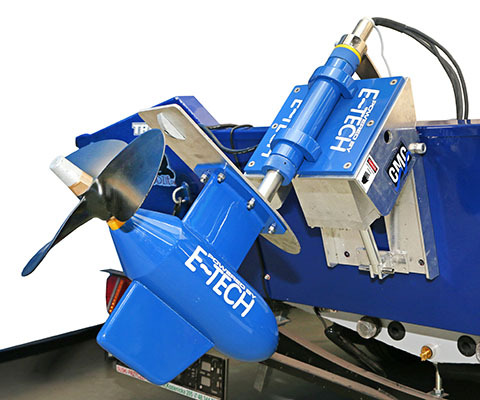 On request E-TECH produces electric outboards with the classic looks of an outboard. With these outboard engines we respond to the demands of that client who wish not to change much on the appearance of their boats, but requires the benefits of strong and efficient electric propulsion. Another request from clients is to adopt the (existing) saildrive for an electric engine. This is what we have done successfully with the E-TECH engines for those demanding clients. And what we can do for you as well. Talk with us about the possibilities. Battery charger, shore power connection, propeller, extension cables. For years, as boatbuilders, we have installed electric drives from third parties. 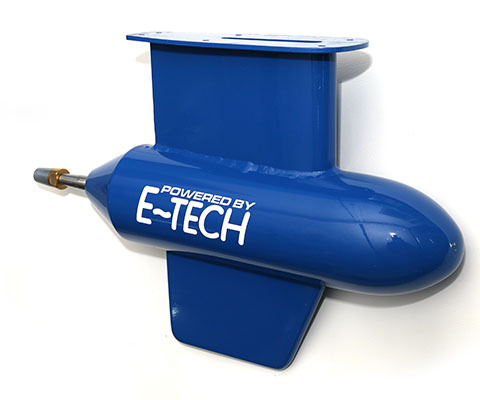 Then in 2009 E-TECH decided to develop its own E-drive for yachts and boats. The ( many ) short comings of the systems, which were installed till then, forced us to develop a better solution. The best electric drives for an attractive price was and is the aim. As boatbuilders we are aware of the possible problems and aggressive circumstances which can occur on a (sea-going) boat, and we decided, first off all, that quality and durability prevail. Efficiency and economy were naturally the reasons to choose for State-of-the-Art technology only.